Chocolate has been a passion for Dolfin over the past twenty years. This Belgian Chocolate House's philosophy involves mixing chocolate with natural, high quality ingredients. Fruits, spices, herbs, flowers and essential oils, even great classics subtly and harmoniously blended with the best traditional chocolate. 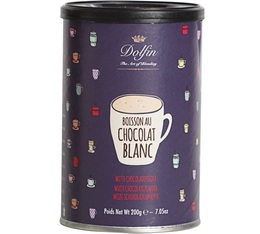 On MaxiCoffee, you will find a selection of the best Dolfin cocoa powders!